We have entered an era of so quick a technical progress that the pace of innovations has become frentic. Technology is spiralling out of any political control and could soon get out of human control. 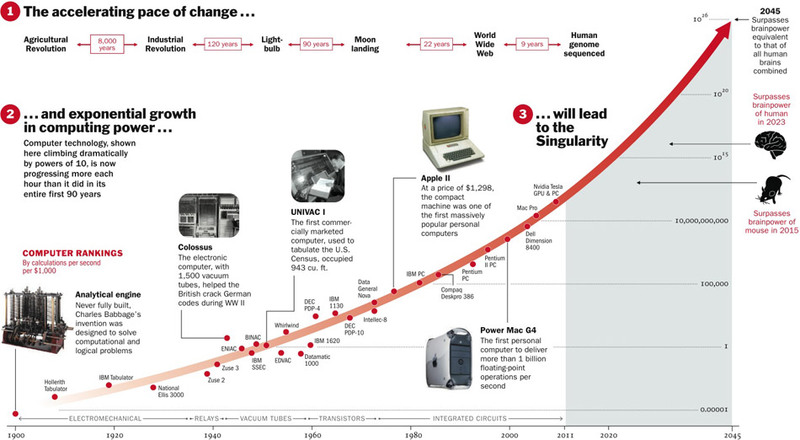 Such an event has been dubbed the Singularity. 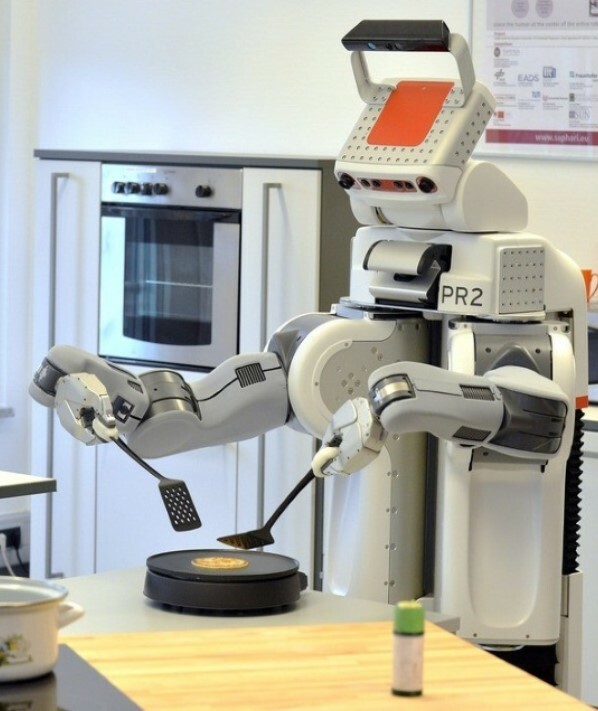 Respectable institutes like the Oxford Martin School, looking forward to 2035, reckon that circa 50% of the jobs will be robotized or replaced by AI systems, such as telemarketing voices which will be indistinguishable from a true human. Impact on employment will be dramatical, as the creation of non-automatable new jobs cannot keep up with the improvement of robotics. Manufacturing processes and services delivery will become so complex that no human will be able to understand and perform them. Actual control will be taken over by autonomous systems operating in networks. A few individuals see in this trend unlimited opportunities for enhancing human condition through technology : upgraded intelligence, mind uploading, telepathy, never-ending organ repairs, immortality, etc.. Their purpose is no less than turning man into a god. They seem to forget that abolishing the immemorial boundaries of human condition would give rise to thoroughly new beings, less and less biological, which would not be human any longer, and of which it is impossible to predict whether or not, eventually, they would enjoy a better existence. By wishing for themselves an enhanced condition, Transhumanists rush towards their dissolution, and they may well drag along the rest of us into the pit. There is a risk that a SuperIntelligence takes control over the world in not so distant a future : it may become a reality in a few years time, given the exponential pace of technical innovations. This will affect our societies and our lives far more dramatically than emerging economies, climate change or geopolitical turmoils and terrorism ever could. A few organisations such as the Future of Life Institute endeavour to draw public attention to the AI control problem but their audience and their financial means remain confoundingly small compared to the enormous amounts invested in AI development programmes by high-tech companies. UN conference about the threats of Artifical Intelligence, October 2015. What kind of vision for the future ? One cannot help feeling that the enthusiasm of companies and public authorities for the miracles of technology is but a blind race towards ever-receding short-term benefits. It lacks a holistic vision of the future that would encompass all true dimensions of the human being— social, psychological and moral. Hosts of would-be wizards are striving to give birth to the SuperIntelligence, which is meant to take over their creative role and eventually replace them, but they don’t bother to think about the purpose of that all— « this isn’t our call », they say. 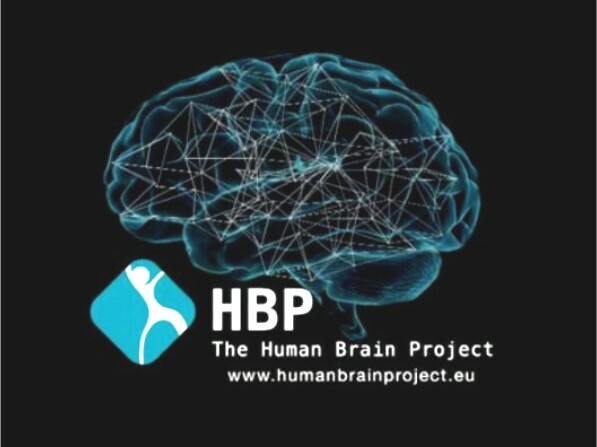 The Human Brain European project aims at developing a supercomputer that could simulate a human brain in 2024 (cost : 1 billion euros). The AFCIA is seeking to raise awareness about Artifical Intelligence beyond the microcosm of AI researchers. There is no doubt we should be thinking about ways of keeping AI under control, and we cannot but encourage public authorities to step up funding for research programmes around that issue, although we are skeptical about their chance to achieve any effective outcome. But what truly underlies AFCIA’s position, is the fundamental question : why on earth are we humans bending over backwards to ruin all that conveys any meaning to human life, namely work and creativity deployed to the service of others ? Why should we prepare, slowly but surely, man’s elimination, man’s relegation to the status of a dominated species, for the benefit of who-knows-what ? Our civilisation could reorientate itself towards a more human world where ingenuity remains man’s attribute and honour, and where technological progress doesn’t threaten to turn into a nightmare any minute. We believe the absolute prerequisite for that to happen is to firmly refrain from giving birth to an AI that surpasses us. This is why the AFCIA urges the French Parliament to pass a bill that would strongly regulate research in the field of Artifical Intelligence.